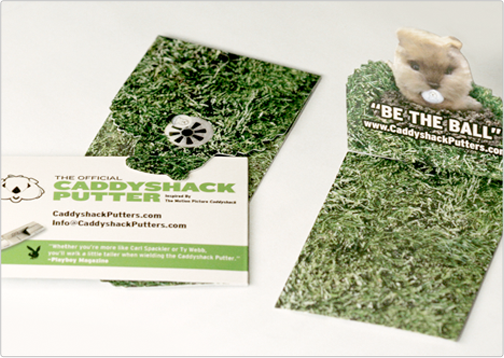 The Caddyshack Putters business card was designed for a company that specializes in unique customized golf accessories that are themed after the film Caddyshack. The business card needed to reflect this same unique and playful theme. 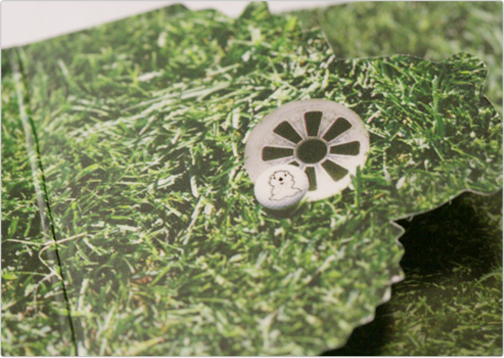 These one of a kind cards engage the recipient and encourage interactivity.